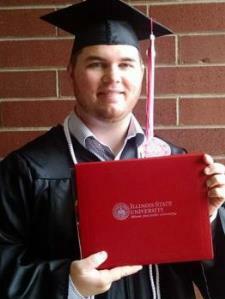 I graduated from Illinois State University with a Bachelors in Arts and Sciences. And I studied English Education. I am a Certified English teacher for middle school and high school students, along with Social Science at the middle school level. I have a strong desire to work with students, build upon my own abilities as an educator, and learn from them. I desire to be in a school, but am happy with the opportunity to educate students in any way.